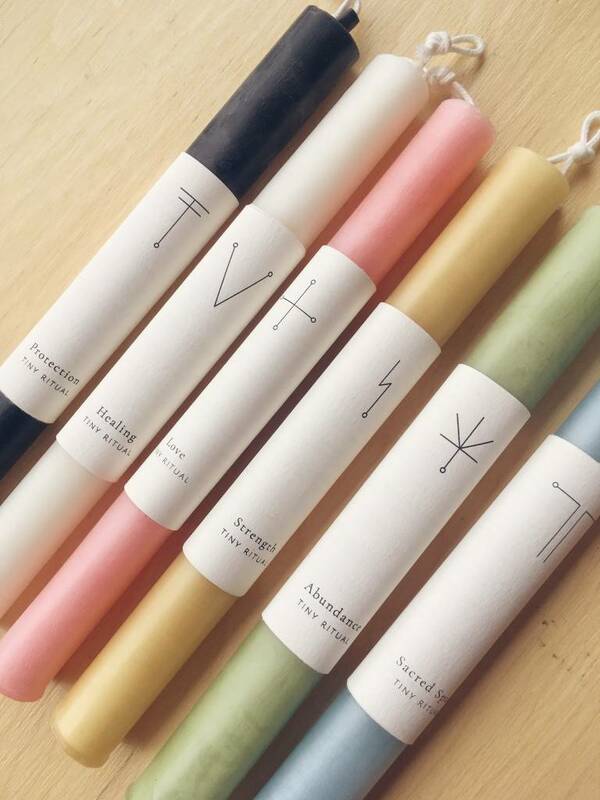 Tiny Ritual Candles are hand rolled from 100% Canadian beeswax sheets, using a 100% cotton wick and a clear quartz crystal at the bottom. 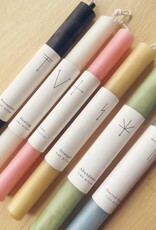 Each candle comes with instructions to help you develop your own ritual and intentions. 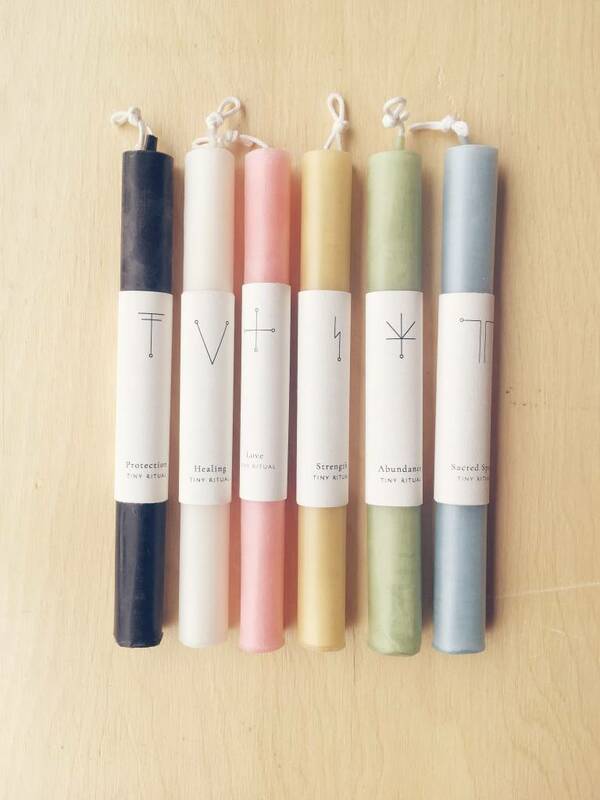 They are sold individually. 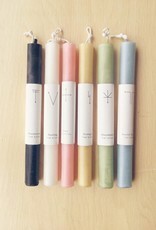 Each candle is 8.5" in height.